→Silva Intuition System Review-What’s New in the Silva Method Store? Silva Intuition System Review-What’s New in the Silva Method Store? In this Silva Intuition System review, I will be providing you a detailed information about this product so that you can decide if will be useful for you or not. One thing that is appreciable about the Silva Method is that it never ceased to advance and today Sir Jose Silva’s work has been extremely developed with the latest digital tools involved. Jose Silva’s daughter Laura Silva brings to you the enhanced and latest Silva Intuition system that is so perfectly organized step by step course to develop a person’s intuition. This program focuses on making intuition based decisions that are always far better than the decisions that we make using our logical mind, as we know it is often so confusing and frustrating to make decisions when our mind gets into “dual mode” defending both “yes” and “no” sides, it’s like playing tennis from both ends. Most of the working programs always like to keep it simple and straight, the way Silva Intuition System does- they do not brag about their program too much and there is no need because most of the “mind studying” people have always known and trusted them. If you visit their page you will find that they talk about the advantages of “intuitive living” more than their program, what a beautiful and honest approach! The answer to your question from our view is- YES! Silva Mind Method can really change your life but there is something to be considered here. 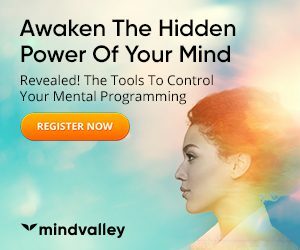 Silva intuition system does not teach some new skill, but it focuses on taking you to the deeper levels of your mind so that you could leverage the power of your subconscious mind that was always available to you. This means that you will have to participate with total willingness and faith. The beauty of this program is that it is designed for betterment of both- already intuitive people and those who have just started to know about this ability that was always present inside them. However, they have too much of exercises and stuff to be practiced, but it is something to be gradually perfected rather than to be finish at once stuff, much like learning to play an instrument. All we can advise is that not to miss such a great program, at least you must download and try the free program that they send when you sing up which includes an awesome guided meditation named “the centering exercise”. We hope you found this review helpful, we would be glad to hear your comments.